To find out more about the Government Approved Level 5/6 PE specialism click the image above. Real PE is a unique, child-centred approach that transforms how we teach PE to engage and challenge EVERY child. 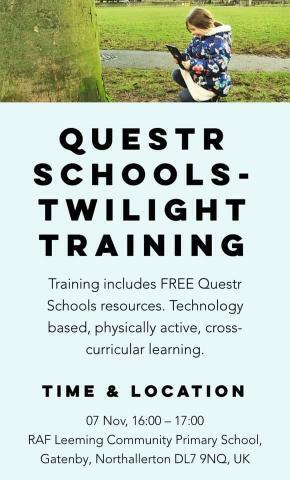 It is delivered through an online Learning platform with video links to progressive Fundamental movement skills and fun and age-appropriate activities to apply the skills. Day 1 - An Overview of the real PE program and philosophy. A blend of inclusive Fundamental movement skills and a focus on the whole child. Day 3 - Delivering Fundamental movement skills through stories, songs, and games with Sensory layering. Personalising and Embedding real PE delivery in school. 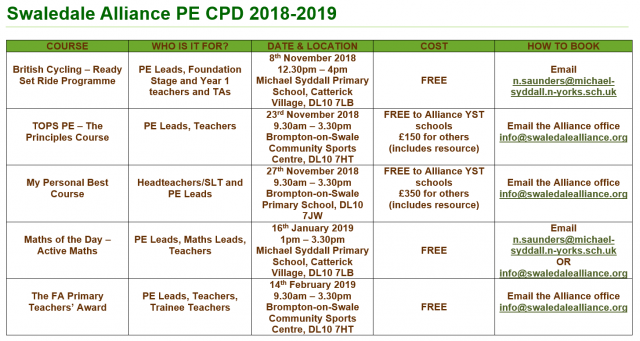 The Swaledale Alliance have organised a number of CPD courses to take place this academic year. The courses can be accessed by schools outside the Alliance. North Yorkshire Sport have planned a series of professional learning webinars to support the delivery of School Sport and wider aspects of sport and activity throughout the academic year. 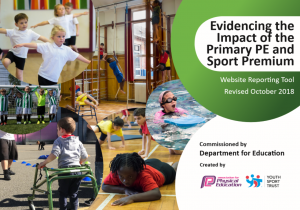 There will be a series of webinars focusing specifically on School Sport that will be a facilitated by a range of PE and School Sport professionals. North Yorkshire Sport have established a new Primary PE leads network. Meetings will take place on a termly basis bringing together PE leads to discuss issues and share best practice. The network will have agendas that can be tailored to current need but will cover issues such as engaging SLT, meeting government requirements, utilising sports coaches, making the premium sustainable etc. Schools which can demonstrate the impact of the grant on pupils when increasing confidence, competence or qualifications of school staff including teachers, teaching assistants, lunch time supervisors, coaches, governors or parents.